The 31 Days of Love Series continues. 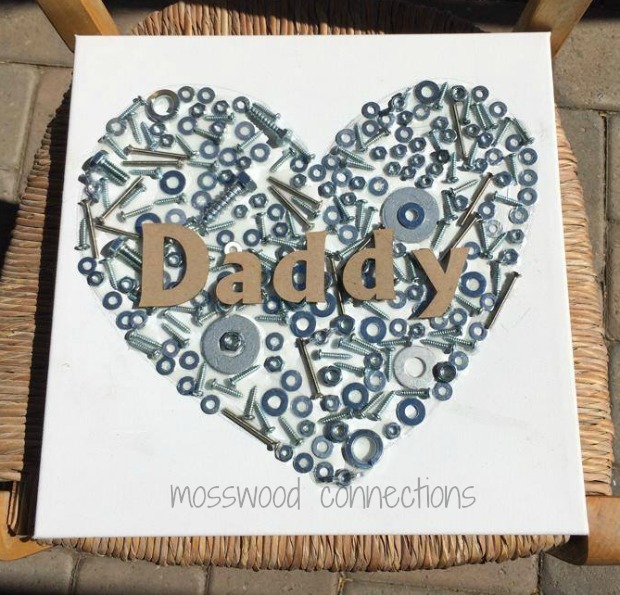 We love DIY Gift Box Ideas. Today we have a combined effort from me here at Red Ted Art and our guest poster Shelah. 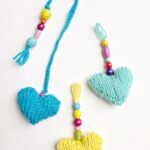 We share a little heart box printable pattern – first make your own little heart box and then get the kids to decorate. 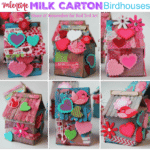 This little heart box printable can come in handy for all sorts of ocassions – not – the heart box is a craft for teens or grown ups. The decorating can be enjoyed by anyone! 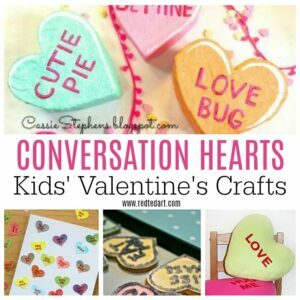 Add some fun little messages and turn this printable heart box into a Conversation Heart Craft for kids! Fab. 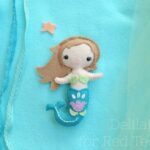 Many more Free Printables here! 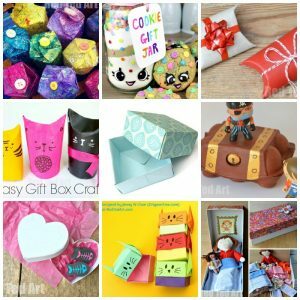 Simple Heart Box – fill it with goodies for the kids or a loved one! 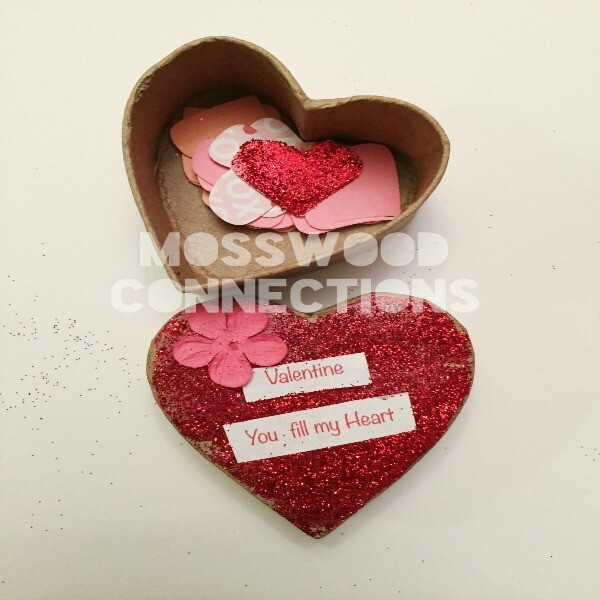 1) Click here to download your Heart Box Printable. 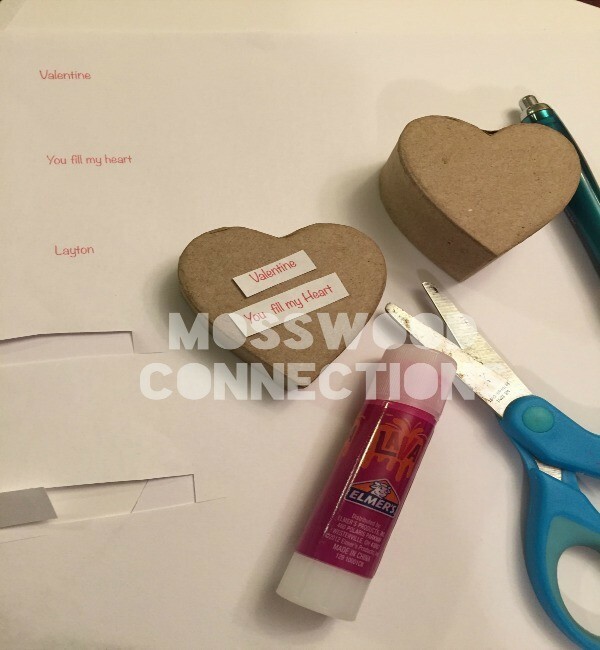 2) Cut your pieces out – note there is a slightly larger and a slightly smaller heart. The large heart, gets a “thin” rim and the small heart a “broader” rim. 3) Snip into the side of your strip, but leave the little “tags” at the end of your card, this will help secure your heard box at the end. 4) Once all your pieces are cut. Fold your side strips in half (excluding the tag at the end) and make a crease – this will help you position the side strips at the bottom of your heart box. 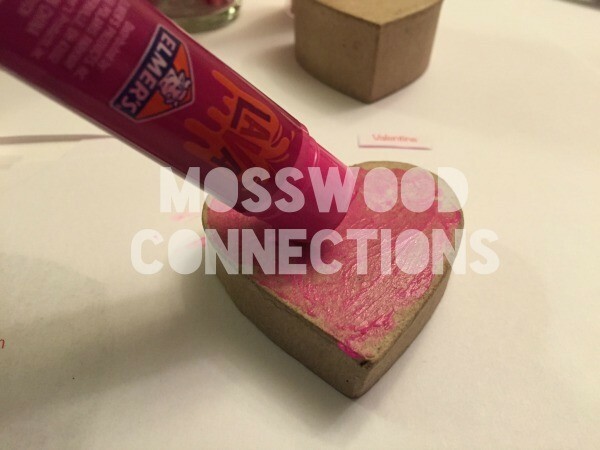 5) Apply lots of glue stick – we worked on one side first and then the other. Position the centre of the side strip at the tip of the heart and carefully glue the rest of the side in place – curing it round the top of your heart as you go along. Repeat on the second half and secure by gluing the little tag to the opposite end. It should fit perfectly. BUT should it not, just trim a little off. 6) Repeat for second heart and and side strip. 7) Let dry and enjoy! 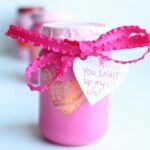 My little one and I love creating valentines for his classmates. This year we had a little trouble deciding which idea to pursue. Some of the ideas we had were great in theory but not very practical when having to be reproduced 15 times. In the end we settled on this idea of making Confetti Heart Boxes because it was the most fun to make of the bunch and we could make enough for all his classmates. 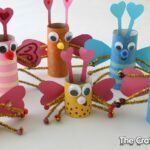 This project was also great for fine motor and hand strengthening practice. Cut out you message so that you can later glue it to your box lid. Cover your lid with glue, attach the message and sprinkles with glitter. Attach any other embellishments you may have. Glue the senders name inside the box on the bottom surface. While that’s drying, punch out several hearts in various colors. 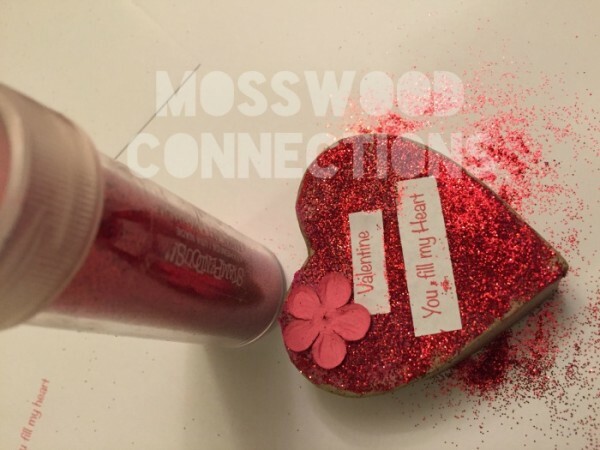 We covered one of our hearts with glue and sprinkled it with red glitter. Put all of the hearts inside the box. 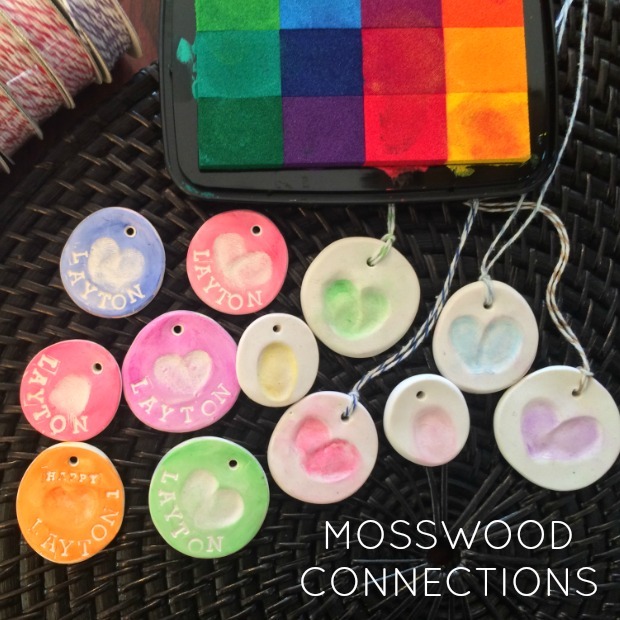 My little one loves working with glitter which is why we chose that medium but this project lends itself to many variations. You could cover the little boxes with colored tissue paper or even paint them. 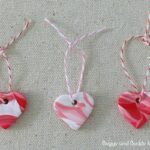 You could also fill the box with a sweet treat but my little boy sure enjoyed punching out those hearts and I think his friends will love their heart shaped confetti. Sarah was born in Nicaragua and grew up in New Orleans. 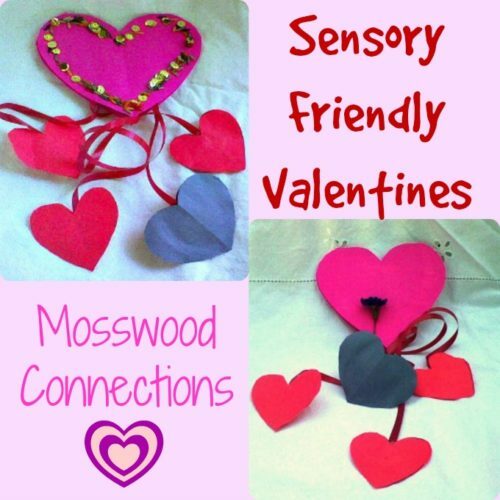 She blogs about parenting, crafts and special needs at Mosswood Connections. She considers parenting to be her most important achievement. Introducing her son to a world full of curiosity, creativity and constant learning opportunities has been her greatest joy. Sarah is a world traveler. She volunteers in her community as well as internationally and has spent her vacations volunteering for an orphanage and for Habitat for Humanity.